Captura is an easy-to-use program that lets you record your onscreen activity. Captura records video, sound and pictures of anything you see on your screen. 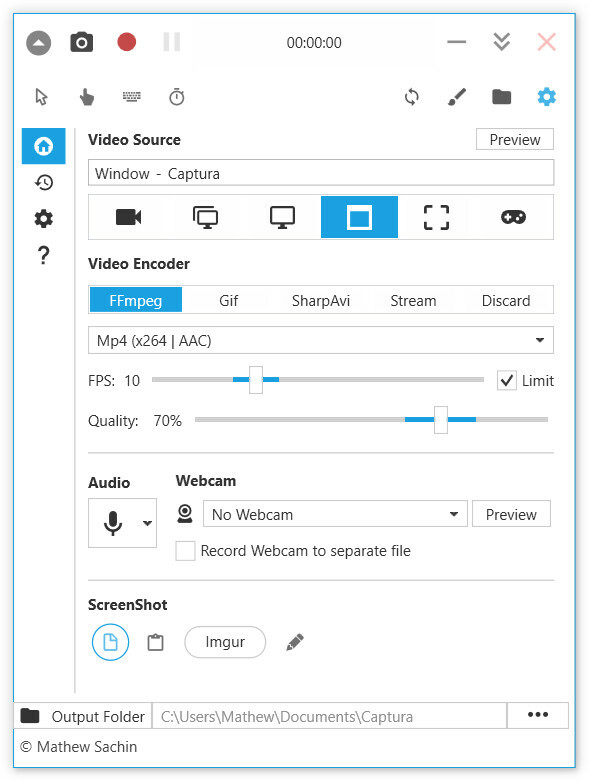 You can record your web cam sessions, favorite games, any software on your desktop, video displays on your screen, record audio of what you hear from your speakers. 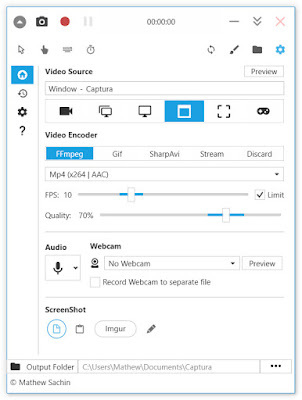 Use Captura to create training videos, presentations, screencasts, or any other task that requires capturing desktop activity. Captura can run unobtrusively while remaining minimized to the system tray. Record audio, cursor, mouse clicks and keystrokes. Captura is 100% free. You don't need to spend a penny. Can be used from command-line.